Every workshop is complete in itself and can be booked seperatly. The experience of a deep relationship is one of the most precious and beautiful in life. We, however, are not born knowing how to love: it is an art, that we have to learn. Often our efforts to find and keep love and friendship resolves in a conflict, into disappointment and frustration: we repeat continuesly the same painful patterns. The problem comes from the wounds that we carry inside, and this, if not resolved, can contaminate or sabotage our relationships, condemning us to dependency or isolation. This work faces the obstacles that prevent us from living fully our potential, and we will explore the roots of co-dependency: the wounds left in us by traumas and shame and the fears of separation and abandonmnent. With the help of guided meditations and exercises of sharing, specifically conceived for this process, we will explore the nature of this side of the Self, so delicate and hidden, giving each one the possibility to connect to it in its own way and its own time. All this will strengthen us and allow us to learn the language of intimacy. To learn and understand, to accept and transform our wounds and rediscovering in this way our essence – our natural vitality, joy, loving side and silence – it is the way, that leads us to grow and to create healthy and mature relationships. The process is structured in seven weekends and we will deepen a specific topic of the process at each meeting. Tabish is a therapist trained in Codependency work, Primal (childhood deconditioning), Trauma healing (Somatic Experiencing) and Hara Awareness. He share his experience of growth and meditation by offering seminars and sessions in different countries. 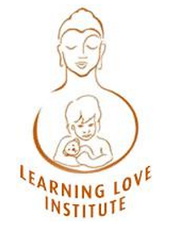 Since 1997 he works with Krishnananda and Amana becoming a Learning Love Institute teacher. Trust is an important and essential attitude not only in our relationships but also in every aspekt of our daily life. To be trustful or mistrustful with all their implications is not casual. We will dedicate this weekend to understand more clearly what provokes these two feelings very different from each other and both very powerful. We will explore the wound of mistrust to bring support and healing to this part of us, which is suffering. Then we will focus on finding, what is needed to create trust. In fact trust is something to be created, using the proper tools. So, we will learn to do the right steps to bring again trust in our relationships and first of all in ourselves. In each of the Learning Love weekends, one topic will be explored deeper. We want to introduce them shortly. All questions to all the topics and to how Learning Love works are welcome! Every seminar of Learning Love is complete in itself and can be booked seperatly. No Info-Evening for this group, but feel very much free to connect with us. You can even come for a short, personal Info-Talk. Jayen is a Learning Love Therapist. He lives in Berlin and organizes groups and events of Learning Love. He also offers sessions of Learning Love to singles and couples.